TRÈS BEL ENDROIT ; J'y suis allé plusieurs fois et ont toujours été heureux. LE PERSONNEL EST TRÈS SERVIABLE. UNFORTUNETLY, LE PETIT DÉJEUNER N'EST PLUS AUSSI PARFAIT QUE C'ÉTAIT. AUCUN MANGUES PLUS AUCUNE MANGOSTINAS PLUS. The four star plus beachfront resort and located in the most popular Chaweng Beach on Koh Samui with its convenient location, just a few minutes within easy walking distance of restaurants, bars, entertainment and shopping center and 15 minutes to Samui Airport. The resort features the low rise Thai style buildings and bungalows in the tropically gardens where private terraces overlook lush garden and pool. Chaweng Regent is the perfect place to relax and enjoy a memorable resort experience. Our spacious well appointed villa and bungalow, tucked away in serene, tropically landscaped gardens afford the ultimate hide away retreat. Each uniquely designed room offers a verandah overlooking beautifully lush gardens, ponds, swimming pools spectacular sea view. Total rooms: 24 units / Double (king size bed): 16 units and Twin (2 single beds) : 8 units / Total area : 50 sq.m. The Premier Rooms are situated in the tropical garden, providing a moment of private touch of natural surroundings. There are in total 12 rooms and freshly expanded rooms with 50 sq.m, these luxury rooms are of the elegant decor with fully equipped facilities, semi outdoor Jacuzzi and separate shower, the television has changed to LCD monitor. The Premier Rooms are of most perfect accommodation where you find value for money for your beach holidays away from home. Total rooms: 18 units / Double (king size bed): 18 units / Total area : 60 sq.m. The latest luxury villa addition to Chaweng Regent. Upon entering through a private gateway, guests find themselves in their own personal resort. Spa Villa Suites are equipped with a private terrace, outdoor spacious Jacuzzi and state of the art amenities. This exclusive accommodation is comprised of a spacious air conditioned bedroom cable TV, IDD phone, safety deposit box, mini bar, tea & coffee making facilities, DVD player, wireless internet access and plush outdoor lounge terrace. Spa Villa Suites are complete with state of the art appliances including a LCD screen TV, to enhance our guests' audiovisual pleasures. The spacious bathrooms offer a luxurious haven to immerse in the Jacuzzi for a languid soak with your loved one or linger in the shower. Total rooms: 6 units / Double (king size bed): 6 units / Total area : 62 sq.m. The ultimate luxury at Chaweng Regent, overlooking the stunning white sand and crystal waters of Chaweng beach. These opulent suites boast a stylish bedroom, one separate living room with 2 couches which can be turned into extra bed and a private pavilion overlooking the ocean. Bathrooms are spacious with separate shower and are equipped with Jacuzzi bathtub. Truly the perfect choice for a couple or families with children. Chomtalay Restaurant: on the beach, open air design with roof serving international, Thai cuisine and Seafood a la carte, Theme evenings. Red Snapper Bar & Grill: an air conditioned restaurant facing the main Chaweng Road serving Mediterranean, Fusion Food and European cuisine with a wide selection of drinks and wine. Beach Bar: at beachfront serving light snacks and drinks. Garden Pool Bar: serving soft drinks. A new age health spa offering health enhancing services in a nurturing environment The Escape Spa prides itself on state of the art facilities; a highly trained staff and a wide range of treatments and packages dedicated to the integration of body, mind and spirit. Holistic spa treatments take the form of pampering bodywork or private wellness consultations. Muscle soothing massages, skin conditioning body wraps and anti aging facials to rejuvenate the body, health issues such as weight and stress management help to provide our clients with a recipe for a more balanced way of life. Koh Samui size 14 x 14 m / capacity 80 persons. Benjarong area 162 sq.m. / capacity 72 persons. All necessary equipments such as overhead, slide projectors, LCD projector, electronic whiteboard, internet access, DVD, screen and wireless land. Fitness Centre and Health Club (Open from 08:00 am to 09:00 pm) Yoga lesson available (Free of charge for hotel guests). Escape spa (Open from 10.00 am to 09.00 pm). 2 fresh water swimming pools and children's pools (Open from 6:30 am to 7:00 pm). Beach Pool: 270 sq.m, depth from 1 m. to 2.8 m. Children's pool depth 0.55 m.
Garden Pool: 440 sq.m, depth from 1 m. to 2.5 m. Children's pool depth 0.75 m.
Windsurfing, kayaking, snorkeling, dinghy and beach cat sailing, sailboat cruises (Tour desk). Scuba introduction course (Free of charge) in the resort's swimming pool. Deep sea fishing and scuba diving ser vice with certified organization. 2 rooms on the ground floor are specially adapted to wheelchair access: ramp. A wheelchair ramp is provided for the reception access. Some public areas are not adapted for wheelchair guests because of steps, therefore it is recommended that disabled guests have a person to help. No lifts in the resort. 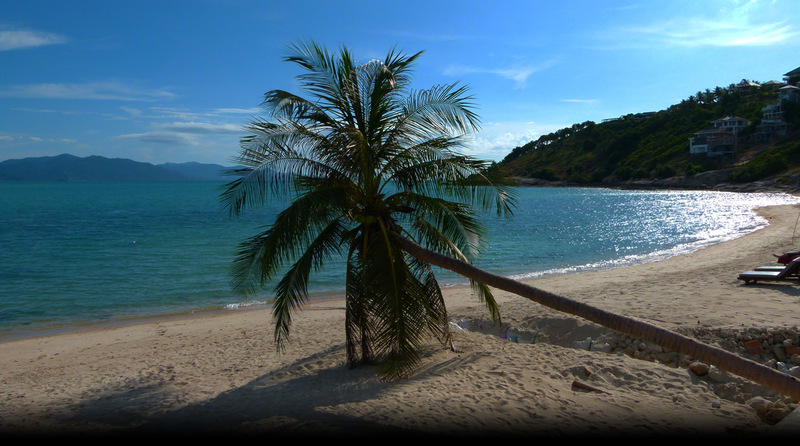 Situated on the pristine Chaweng Beach, the most beautiful white sand beach on the island. The resort is walking distance from restaurants, bars, entertainment centers and shopping arcades. Actuellement aucune réaction sur le contenu de cette page. Anti-spam : (Obligatoire) Dans cette case mystèrieuse indiquez : Combien font deux fois deux (répondre en chiffre) ! des images ou textes de ce site est interdite. Quelles sont les saisons touristiques ? Les routes, taxis, les 2 roues et voitures. Prix des locations. Conseils & arnaques. Notre plage préférée à Samui. Qu'est ce que c'est et où les voir ? Faites le grand saut ! Et on vous raconte tout ! Les événements à ne pas louper ! Êtes-vous prêt pour venir en Thaïlande ? Êtes-vous prêt pour venir à Koh Samui ?